Welcome to Palmers Jewellery & Giftware! 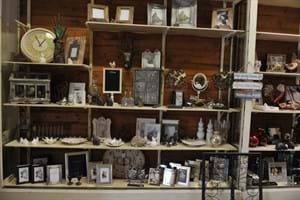 Palmers Jewellery & Giftware will assist you in finding that perfect item. We have been helping our customers purchase their ideal gift for 33 years. Whatever the occasion, with our diverse range of gifts and jewellery, we have something for everyone. Chiming clocks, cuckoo clocks, alarm and wall clocks as well as RM Williams, Citizen, Divine, Q&Q watches are just some of the time pieces we stock. The Willow Tree range is extremely popular and still growing so we keep a large variety to to keep up to date with the latest releases. A large range of leather handbags and wallets, home wares, jewellery boxes, glassware frames... and much more! Complimentary deluxe gift wrapping so you can be assured that your gifts are perfectly presented every time. For the camera enthusiast we have digital cameras and accessories as well as a range of binoculars. In-store jewellery, clock, watch and camera repairs as well as battery changes. Also free quotes for job repairs and we do our best to repair even the trickiest of jobs.